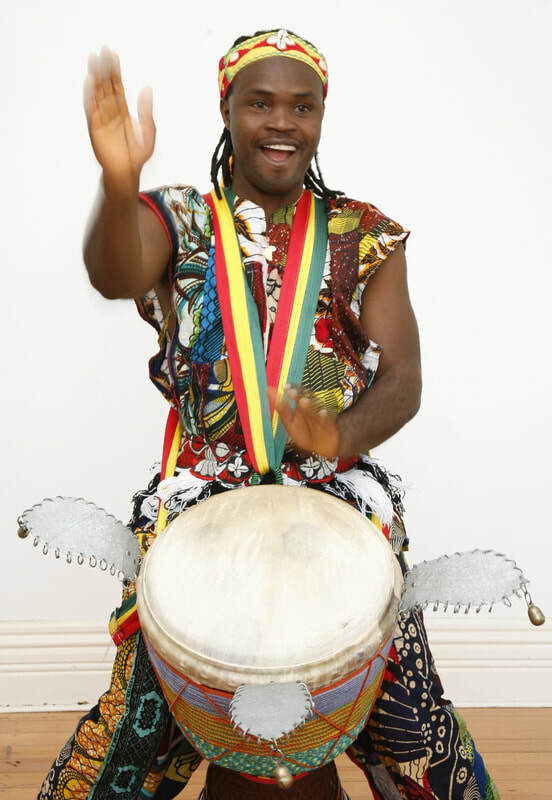 A true master through initiation and ability, Mohamed Bangoura (AKA Bangourake) is known throughout the world as one of the foremost performers and teachers of djembe. ​Born in Guinea (West Africa) into a Griot family, it is Bangourake's hereditary responsibility to pass on the traditional culture of his people through music, song and dance. He has totally dedicated his life to this and now has a global following. He mesmerises audience with his talent, power and virtuosity, and students can't get enough of his charisma and energy. ​Based in Sydney, we are so lucky to have him regularly travelling to Canberra to run classes and workshops. Courses are scheduled around his international tours.